Product prices and availability are accurate as of 2019-04-06 16:11:52 EDT and are subject to change. Any price and availability information displayed on http://www.amazon.com/ at the time of purchase will apply to the purchase of this product. 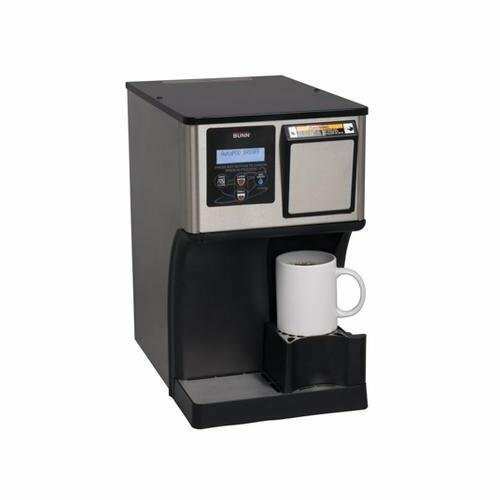 The BUNN AutoPOD Auto Eject Pod Brewer is a commercial-grade, single-cup system with the convenience of automatic pod disposal. 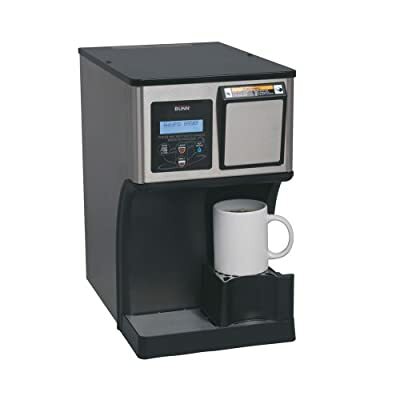 Able to brew most coffee and tea pods the brewer gives the user a wide variety of choices and is ideal for locations such as the office, executive suite, spa or waiting room. Adding to the versatility is a push-and-hold hot water button that can be used to provide up to 10 ounces of hot water for cappuccino, cocoa and soups. The sprayhead design provides proper extraction of all flavoring materials and aromatics and assures a perfect single serving of up to 16 ounces of coffee in a minute. Advanced commercial features include preinfusion and pulse-brew, both controlled with the user-friendly BrewMETER.